Available for full weeks with changeovers on Saturdays. Check-in is from 2pm and checkout by 10am. A £250 deposit is required at the time of booking with the balance to be paid 8 weeks before arrival. Sorry, but no pets, and strictly no smoking indoors. An incredible opportunity to holiday in a top-of-the range luxury holiday home. 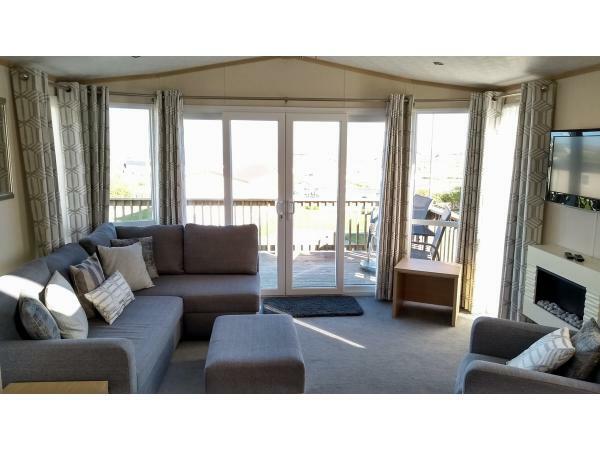 Our spacious 3 bedroom Pemberton Knightsbridge caravan, sited on an elevated position overlooking the dunes offers peace and tranquillity while being close to all amenities. Situated at the end of a cul de sac, the unit benefits from almost no through traffic and features a large, south facing, grassed area at the rear, ideal for children to play while easily supervised and providing a private area for al fresco dining using the picnic table provided. The rear of the unit backs onto a protected area with no caravans. 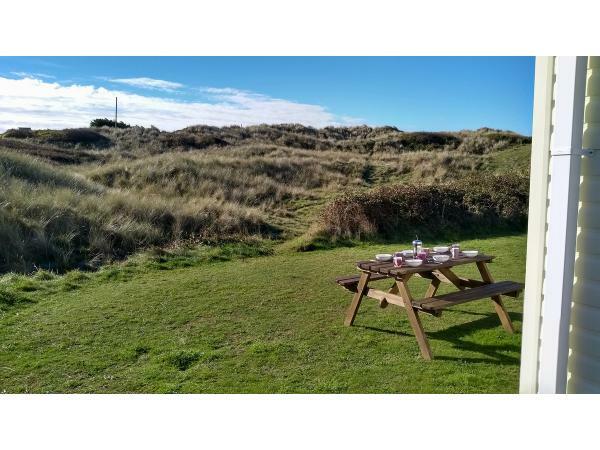 The front of the caravan features a large decking area (table and chairs provided), with views over the dunes towards Holywell. A large double glazed patio door provides access to the living space. - A spacious open-plan lounge and dining area with a corner sofa, armchair, 25” LED Freeview TV, DVD player, flame-effect electric fire and dining table. 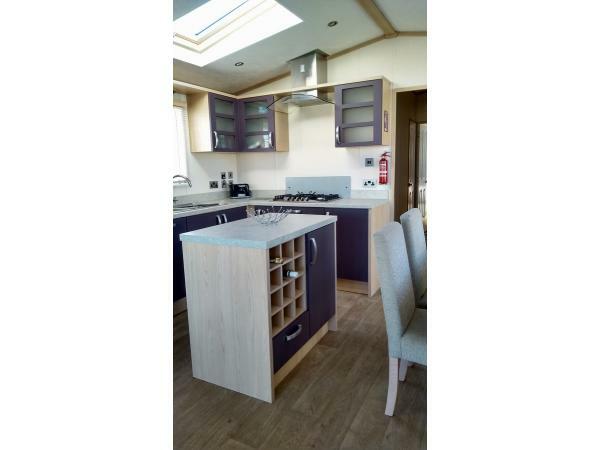 - Kitchen area with island, built in dishwasher, fridge freezer and full size washer/dryer. Cooking for the family is made easy with the double cavity oven, microwave and large gas hob. 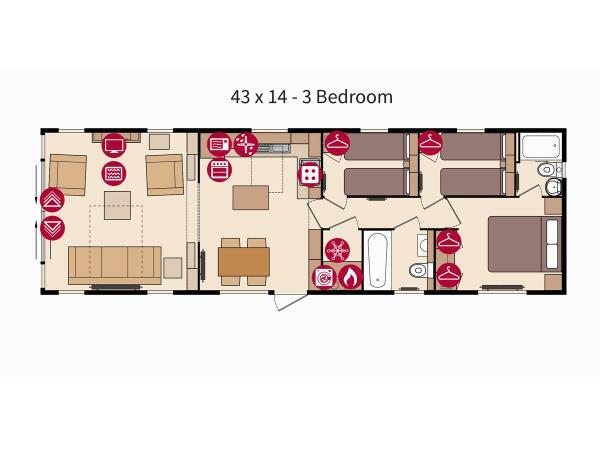 - Master bedroom with double bed, wardrobe, dressing table and en-suite bathroom with shower. 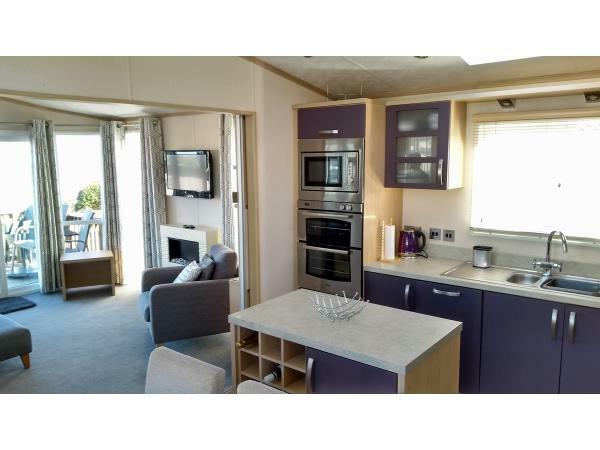 - Two twin bedrooms with two single beds and wardrobes. - Family bathroom featuring full sized bath and shower. 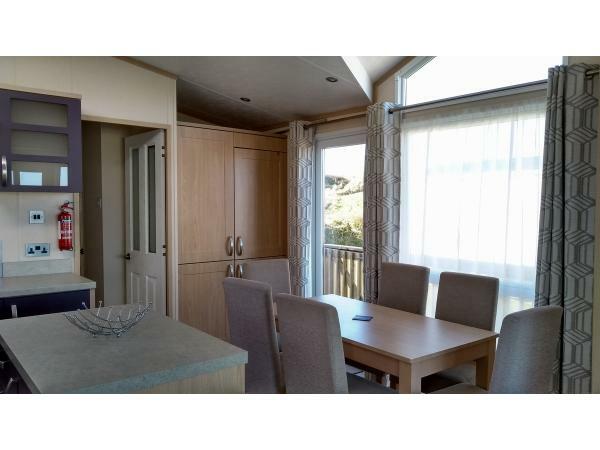 - Double glazing and central heating throughout. - All duvets, pillows and quality bed linen are provided. Just bring towels please! A selection of board games, books and DVDs provided for those rare nights in. 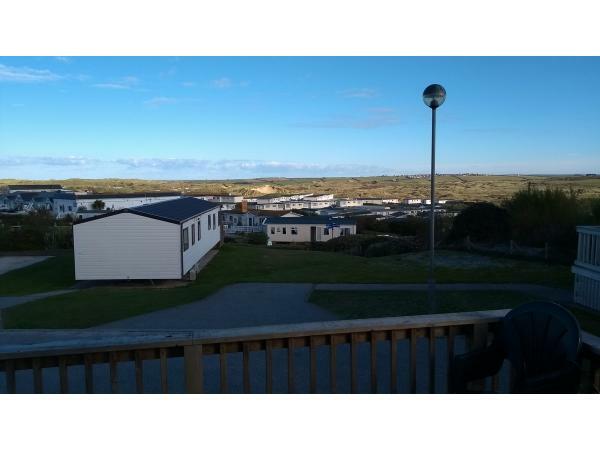 Charcoal BBQ, body boards and a windbreak are available for your use and a pair of binoculars for watching the busy wildlife area behind the unit. Available for full weeks with changeovers on Saturdays. Check-in is by 2pm and checkout by 10am.